CREATED BY WIND. WATER. AND TIME. Guided trips is what we do. Canyoneering, rock climbing, and hiking. Our guides are safe, professional, and fun. All trips are private and equipment is included. Our services are available from Zion National Park Lodging locations seven days a week year round. See photos of the canyon routes that we guide. The areas most prestigious trip. 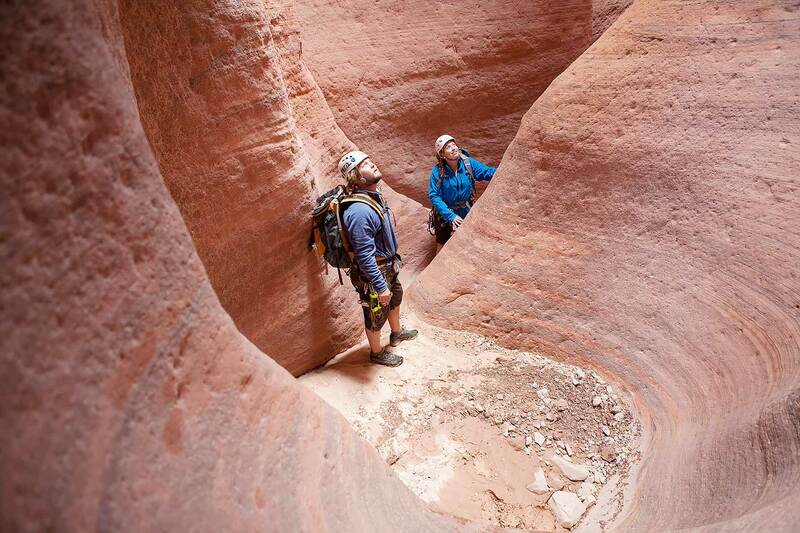 Canyoneering trips descend slot canyons and explore water carved landscapes. Guided trips are fast paced with an emphasis on doing. 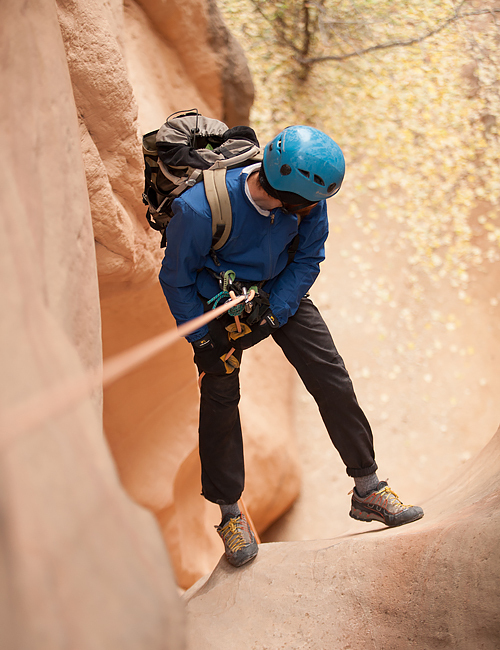 Rappelling is a part of every trip along with hiking, scrambling, stemming, sometimes wading and swimming. Our trips visit a diverse selection of canyon routes and areas. No experience is necessary for most trips. Join us for a trip into the vertical realm. 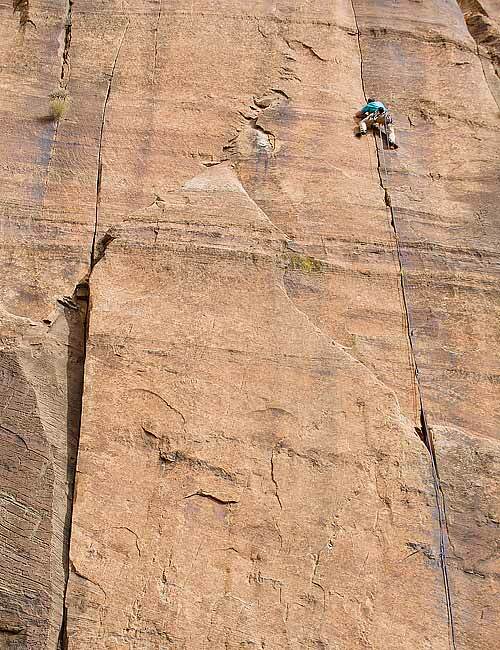 Guided rock climbing trips ascend rock formation using technical systems. 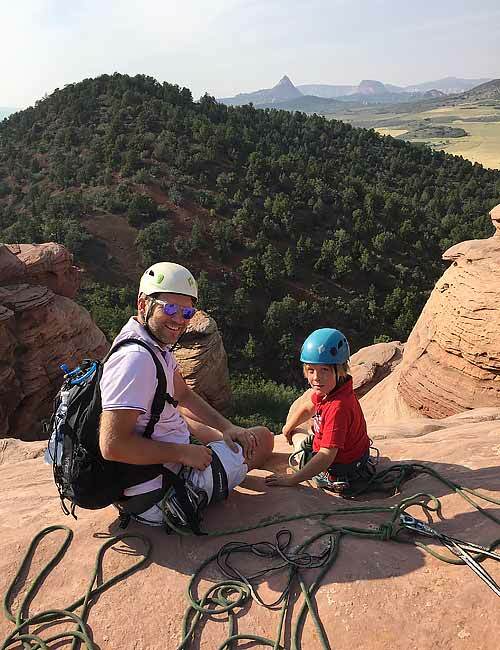 Climbing trips take place in many different areas, and we offer sport, traditional, and multi-pitch options on a variety of different rock types. Instructional climbing courses are available for participants looking to get into the discipline on their own. No experience is necessary. A wilderness experience away from the crowds. Hiking trips visit lesser known slot canyons, peaks, and slickrock hiking areas. These trips take place outside the boundaries of Zion National Park. We teach modern canyoneering techniques and systems. Our curriculum has evolved over time into what we believe are the most practical courses available. See our Subway specific canyoneering course. We are licensed, insured, and permitted to operate on Kane County BLM, Washington County BLM Arizona Strip BLM, Henry Mountains Fields Station BLM, the Dixie National Forest, and the Utah State Trust Lands Administration. We love Utah Public Lands.